Home » Manufacturer » FloAero Inc.
Load dry bulk materials simply, efficiently, and quickly. 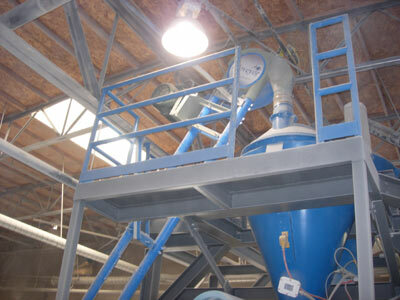 The Floveyor aeromechanical conveyor machine transfers all types of granules, powders, flakes or mixtures. It offers a unique transfer method that is compact, versatile, and reliable. Position the machine at any incline angle. Customized machine lengths up to 90′; Constructed in stainless or carbon steel. The Floveyor solves applications in a dust contained, low horsepower usage, and hygenic manner. For your next bulk handling system contact FloAero Inc at T: 818/789-0546; F: 818/789-0593; E: [email protected]; W: www.floaero.com to obtain the most advanced engineered solution.